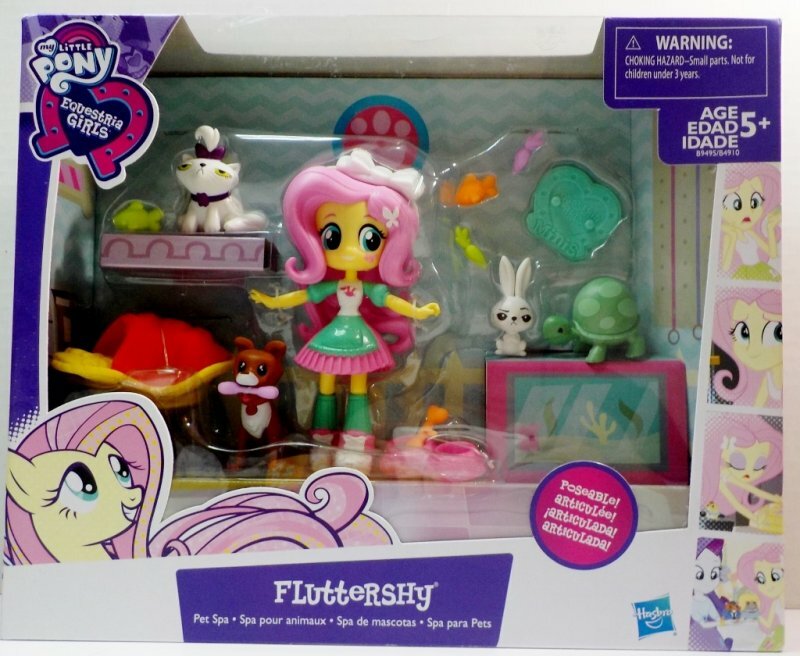 Fluttershy loves caring for her pet friends and dreams of pampering them all day. 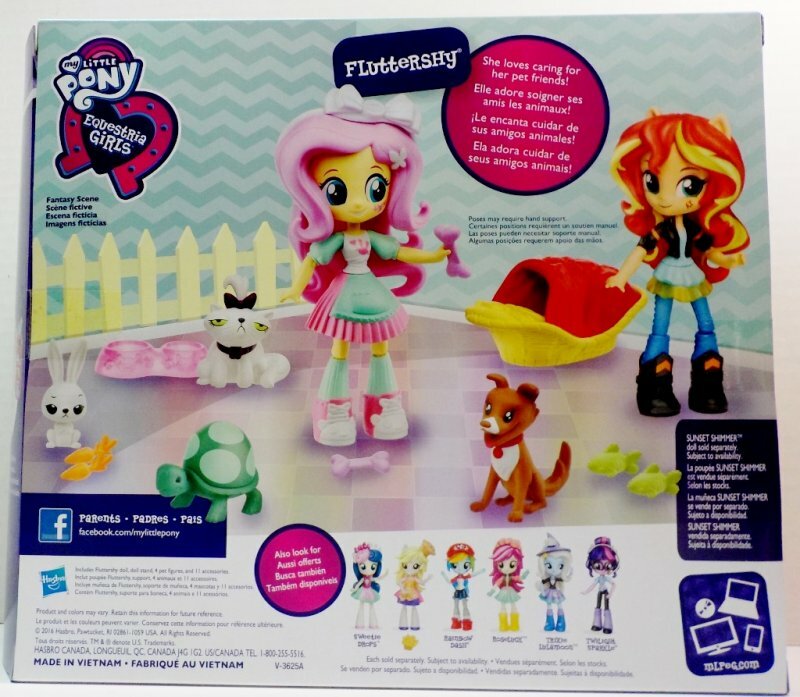 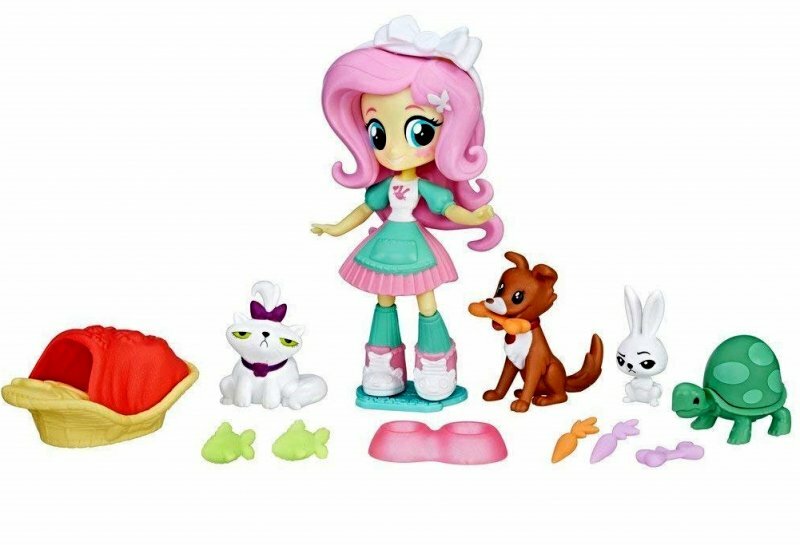 With the My Little Pony Equestria Girls Fluttershy Pet Spa Set, kids can imagine her nurturing and pampering her 4 animal friends, including Opal. 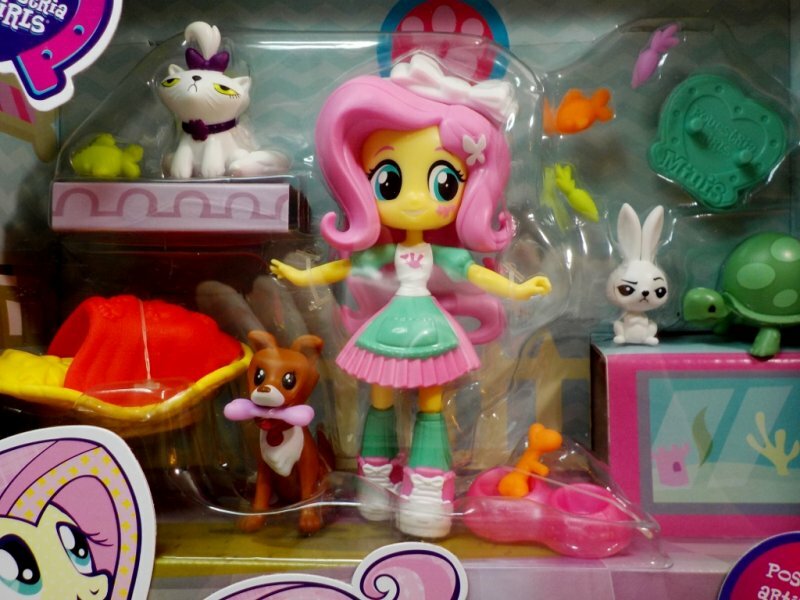 Pretend she's feeding them with the included bone, carrot, and fish accessories, snuggling them, and sharing stories of kindness and friendship with them.